The key of “Old Construction” had a straight shaft. 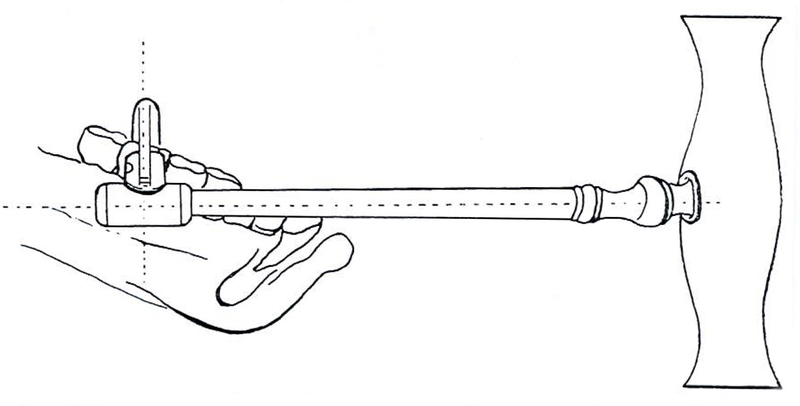 A lateral extraction was less hazardous than a medial extraction using this key. Placed lateral to the dental arch, the claw rests parallel to the tooth and perpendicular to the axis of force. However, when placed medial to the dental arch, the claw rests in an oblique position relative to the tooth, and the torque applied during extraction could damage the adjacent posterior tooth. Additional damage could be done during a posterior extraction as the straight shaft did not provide clearance for the anterior teeth. 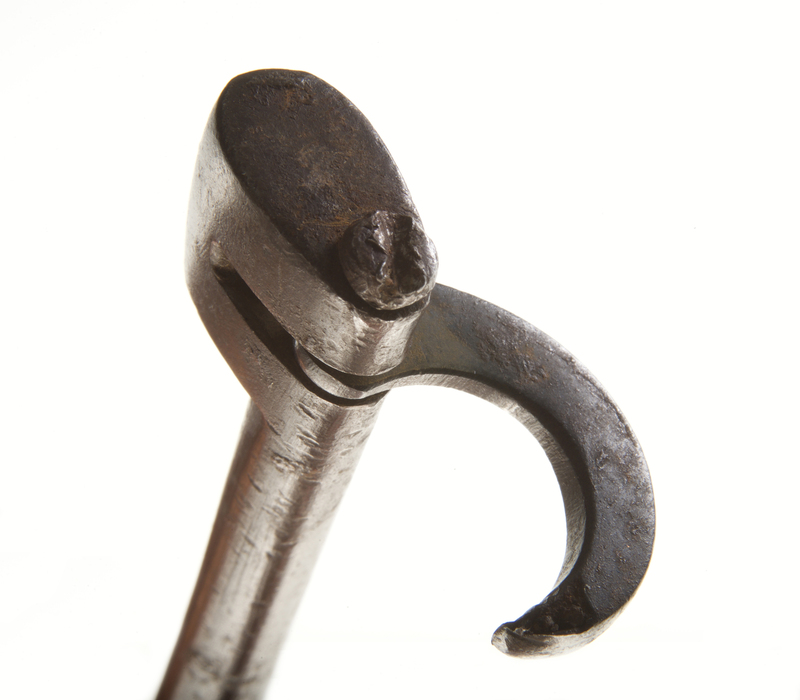 This straight shaft key (A147.183), circa 1760, is typical of the “Old Construction” type. It has an oval booster... and a well-worn claw attached to the shaft by a removable screw. 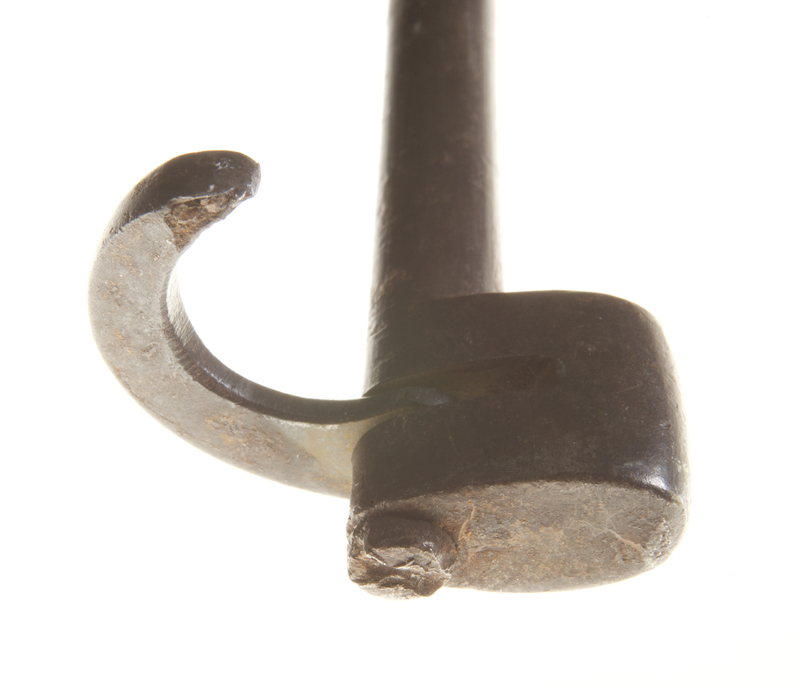 The plain deer horn handle is asymmetric and unfinished suggesting either its style’s antiquity or that the owner made a new handle to replace a fancier damaged original.